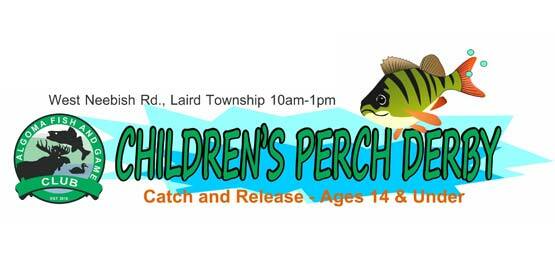 The Annual Children’s Perch Derby will be held in March. Formerly known as the Rob Laframboise Children’s Derby, this event is now hosted by the Algoma Fish and Game Club. The event takes place at West Neebish Road in Laird Township. This catch and release derby is open to children 14 years and under.